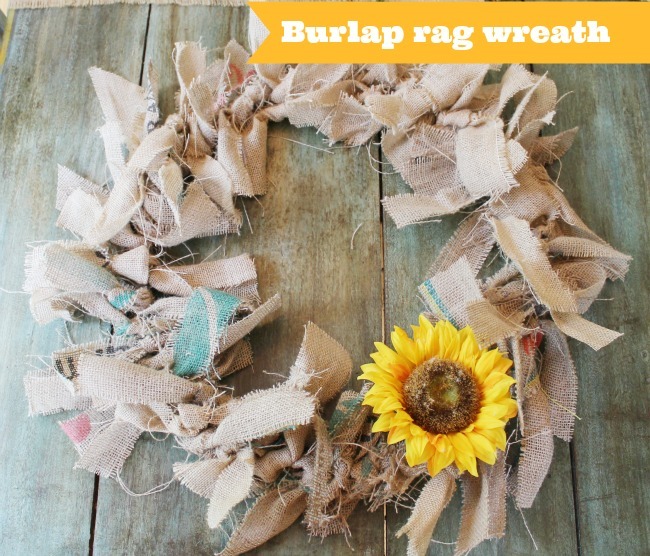 Want to learn how to Make a Burlap rag wreath? This is no rocket science people..believe me, I literally whipped this out in less than an hour. I knew I would find something fun to do with them. I still have two more so who knows what I will come up with. I would say 16 inches long a piece, give or take. Now some will show you how they start to tie the strips along one row me, NO I went random every time. Perhaps I just can’t follow directions. GASP, now that is being super lazy! But you can, you will see in the end, you really can’t tell it is all random. Starting to look pretty raggedy to me. 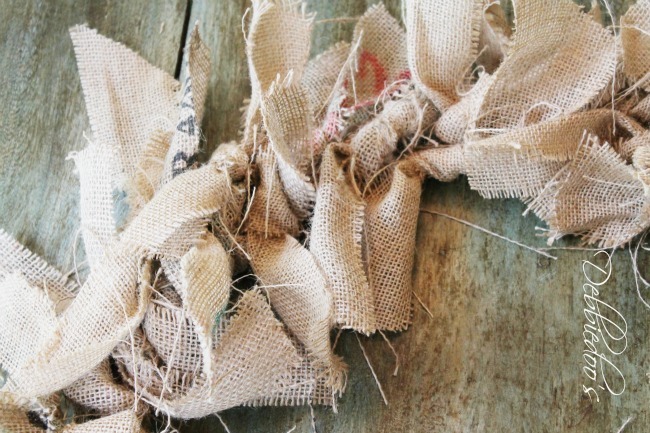 you have A Burlap rag wreath. Now the question is, where to hang it? 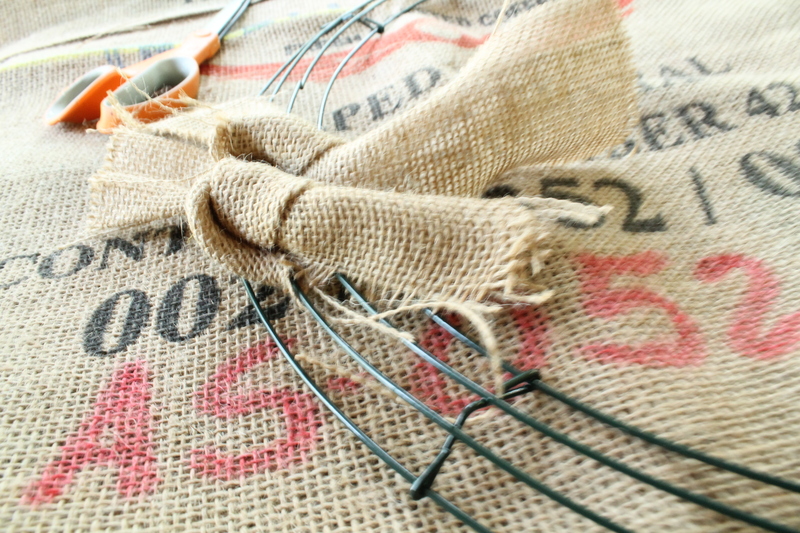 I love burlap and you can check out my Gallery of burlap projects if you like. ALSO, please visit Amazon for my exclusive one-of-a-kind stencil line. 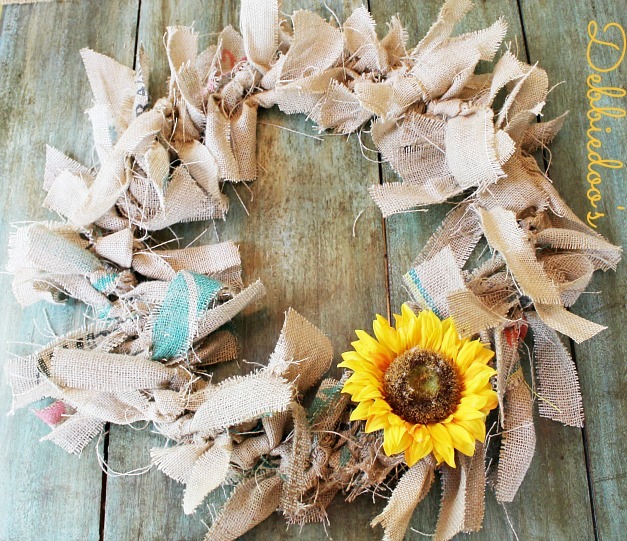 Luvly rag burlap wreath Debbie. The sunflower makes it sooo perfect for late summer. 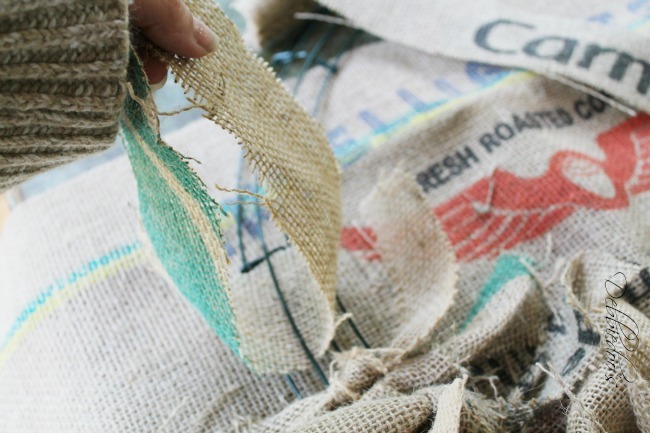 Now I am going to hunt a burlap bag. Luv the print and colour on the wreath. And looks super easy. 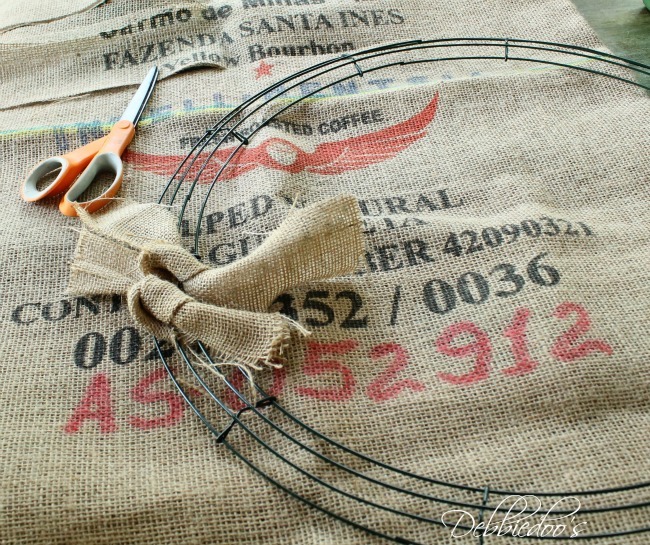 Shhh… I am not a very crafty person at all. 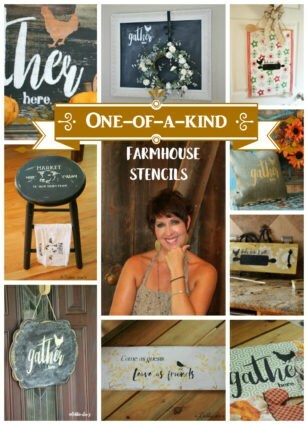 I paint, I decorate, but crafts leave me frustrated. So simple is right up my alley. That is really cute Debbie. Very cute and perfect for fall! Very cute and I agree perfect for fall! Loving the wreath Debbie. Thanks for the tutorial! Hi Debbie, I have been a horrible follower lately, My Mom was in the hospital, but she is on the mend now. I just took down my patriotic star from my front door and now I have to hang a wreath, love yours! Perfect timing and it will stand up to the weather too! I have nothing more to say than… I LOVE IT!! Super cute…think I just might make me one for Fall. I love this wreath Debbie!! Going to share it on Facebook! Oh my gosh, Debbie, I saw this on Pinterest and had no idea that you had made it and I was so excited there are directions!!! I’m going to make it!! You are AWESOME! I saw it on Mary “Hope-FIlled Living”s Pinterest page!! !